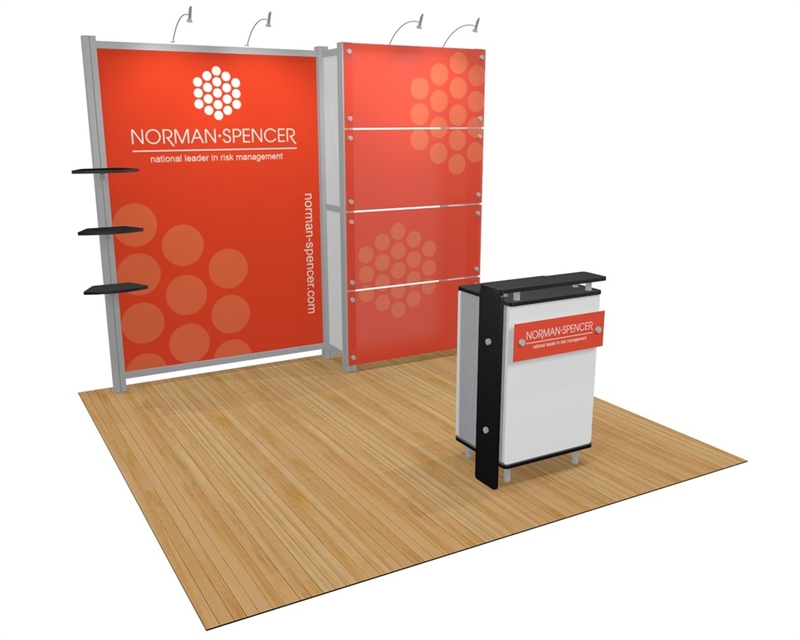 Custom-modular extrusion-based system that combines a tool-less assembly with both fabric and rigid-substrate graphics. 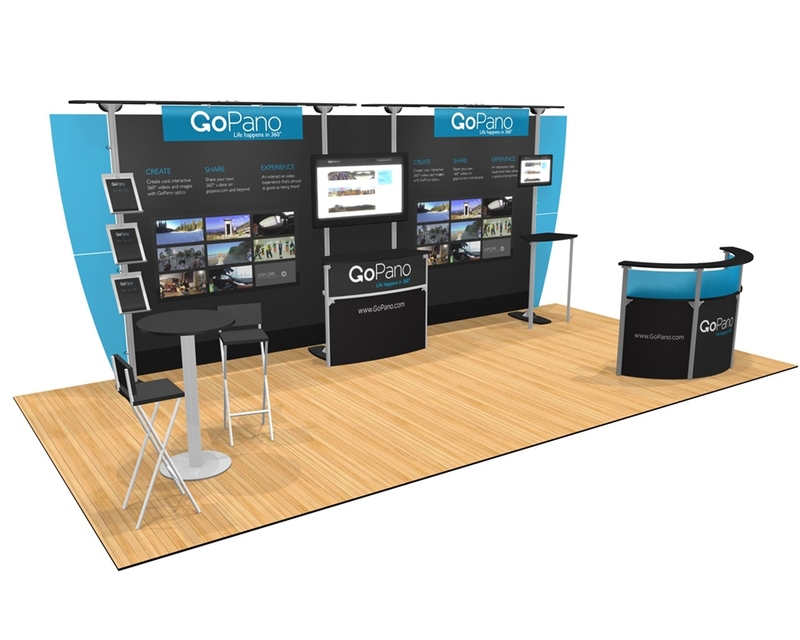 These modern structures have endless capabilities with numerous potential add-ons for product displays, literature stands, meeting spaces, countertops, literature stands, and multi-media experiences. 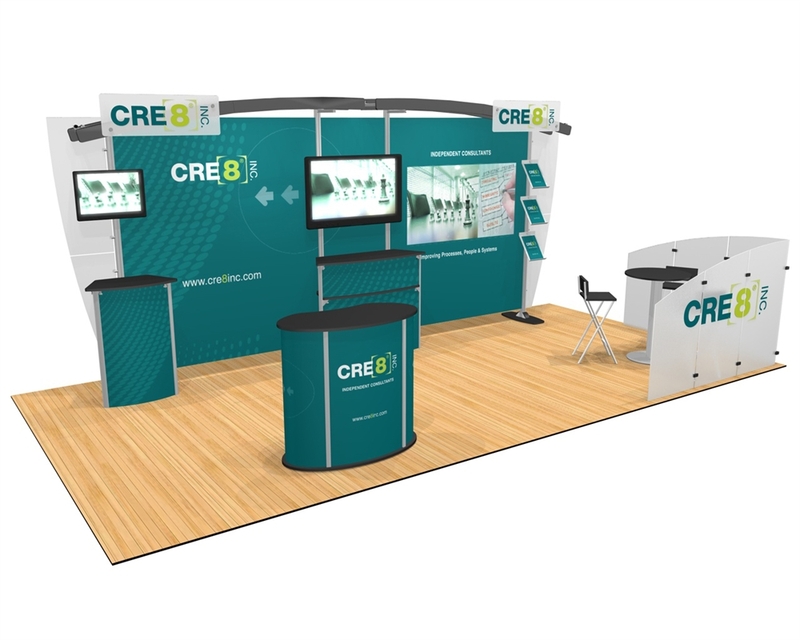 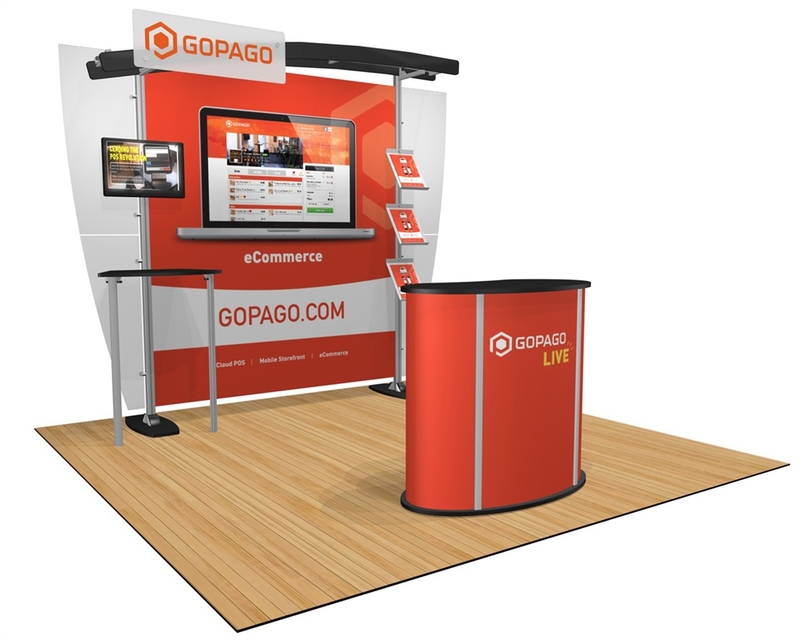 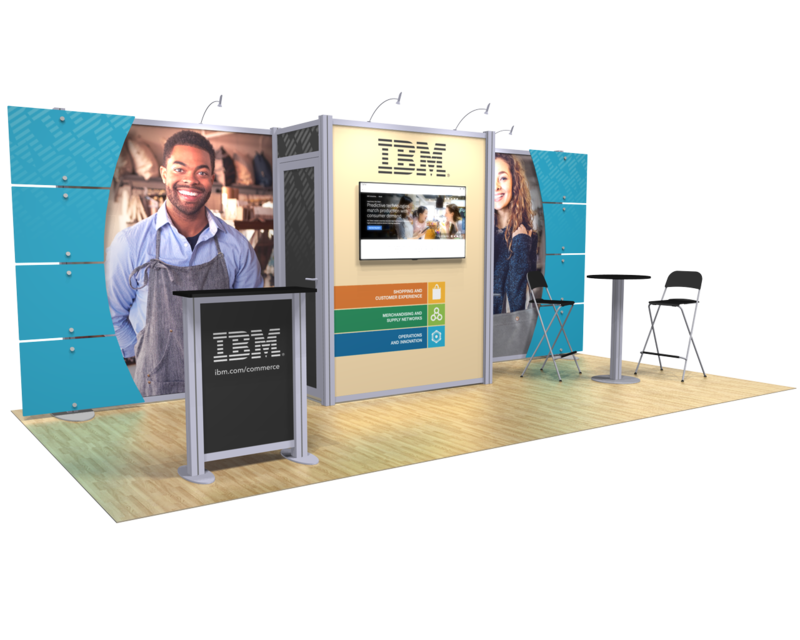 The perfect booth system for a growing and evolving company. 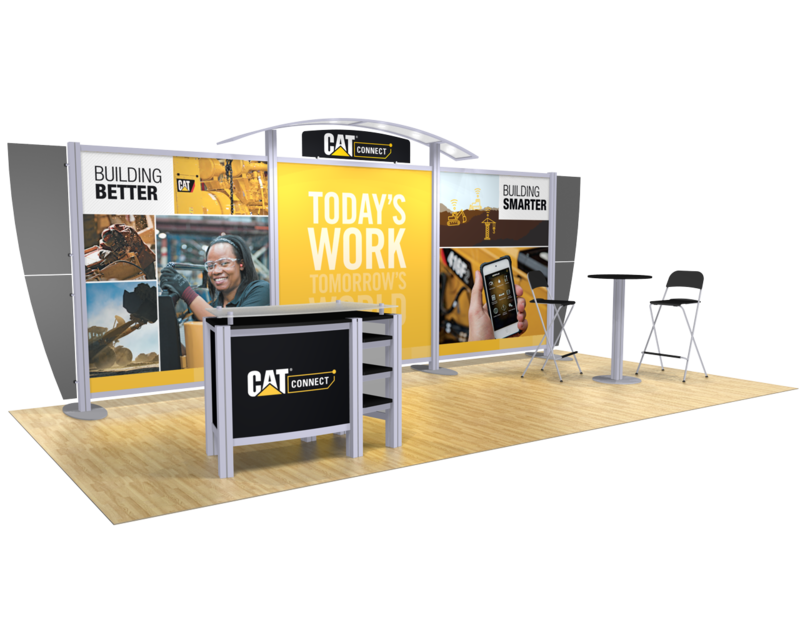 The Exhibitline 10.02 has a custom look and simple set up featuring a large monitor mount and two custom printed counters. 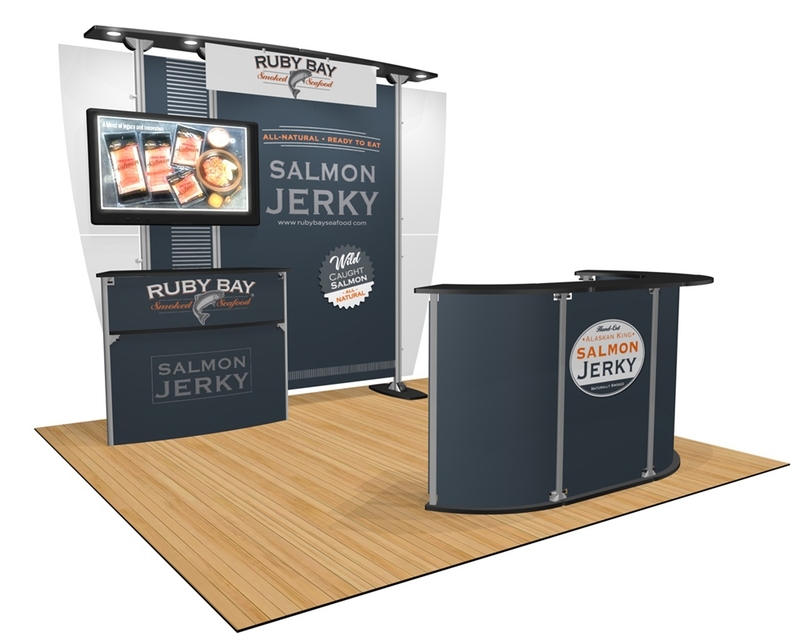 Price includes custom printed header, built in recessed lighting and two hard shipping cases with wheels. 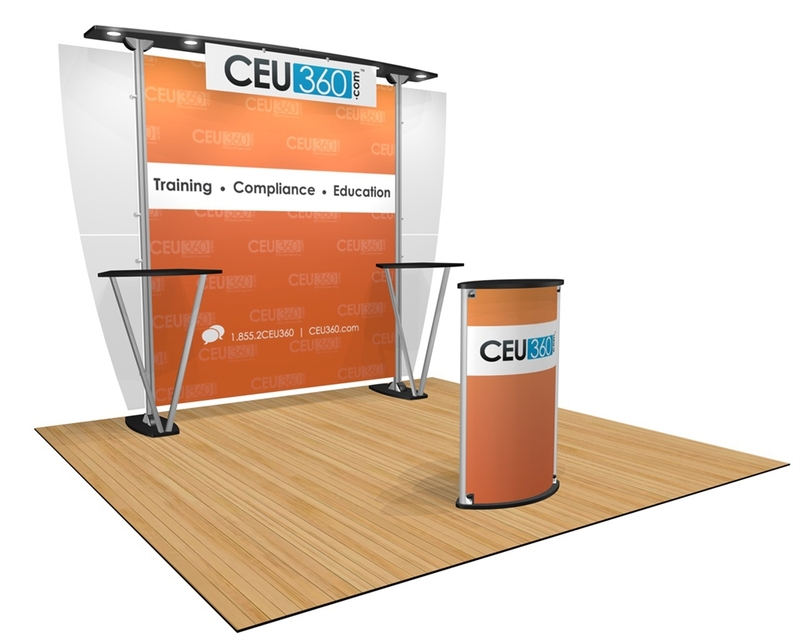 The Exhibitline 10.09 has a custom look and simple set up featuring a monitor mount above a built in straight leg counter with three literature shelves on the opposite side. 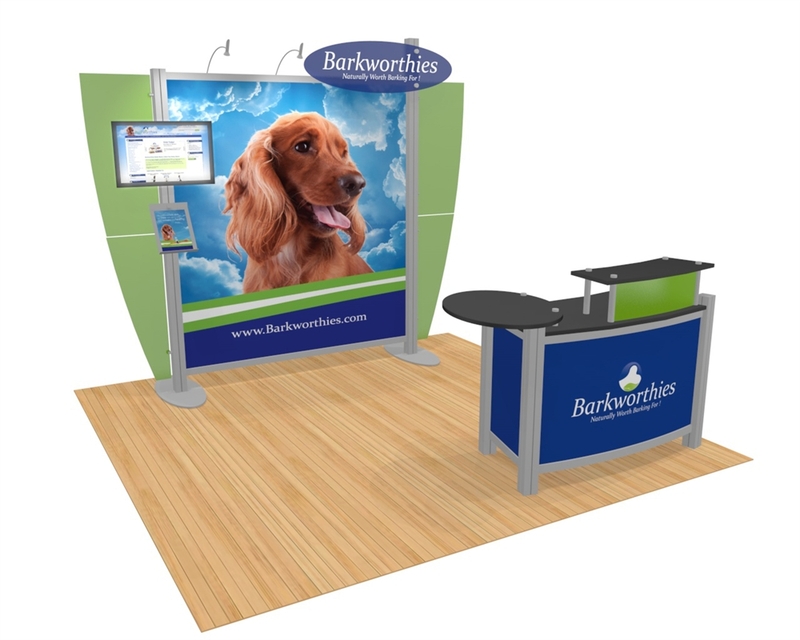 Price includes a custom printed pedestal and two hard shipping cases with wheels.